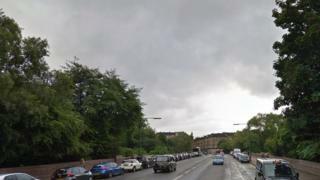 Police divers have recovered a man's body from a river in the west end of Glasgow. The emergency services had been alerted at about 13:00 when a body was spotted in the River Kelvin. They were called to an area close to Queen Margaret Bridge. The man has not been identified but his death is not thought to be suspicious.